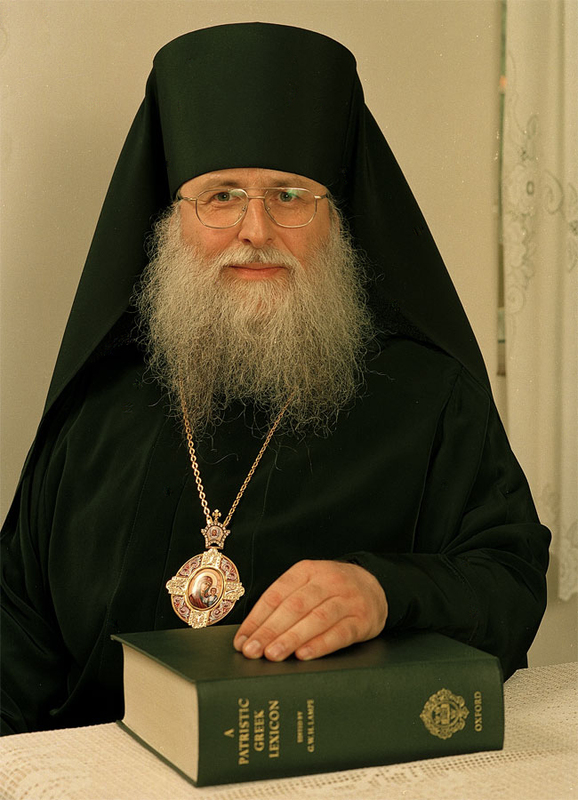 Bishop Photii of Triaditza (Rossen Dimitrov Siromahov in the secular world) was born on 13th July 1956. He graduated from the ‘St. Kliment Ohridski’ Theological Academy in 1981. Until the summer of 1982 he worked as a lecturer in classical languages in the ‘St. Ioan Rilski’ Theological Seminary in Sofia. His keen desire to study the works of the Holy Fathers in the original was the reason for continuing his education in the Department of Classical Philology at Sofia University ‘St. Kliment Ohridski’, from which he graduated in 1989. From December 1989 until his tonsure as a Bishop he worked as a full-time assistant lecturer in Ancient Greek literature in the Department of Classical Philology of Sofia University. The spiritual development of Bishop Photii took place under the care of Archimandrite Seraphim (Alexiev) who himself was a spiritual son of St. Seraphim the Wonderworker of Sofia. The meeting with Father Seraphim was a decisive one in the life of the then 18 year old man who simultaneously was reading the collected works of the great Russian Saint, Theophan the Recluse. These two spiritual instructors – one through his living word and example and the other through his blissful works – gradually nurtured in the young person the desire to dedicate his life to the service of Holy Orthodoxy. Amongst the insidious waves of multi-faceted apostasy and fragmentation striking the Holy Church of Christ, Rossen Sironmahov was ordained secretly during the Communist regime as a priest and started to take spiritual care of a small parish in catacomb conditions. After he was tonsured as a monk with the name of Photii, he was consecrated as a Bishop on 17th January (new style) in the monastery of ‘Sts. Cyprian and Justina’ in Fili, Greecei. He did so in obedience to his spiritual father and, most of all, to the suffering Orthodox Church of Christ. Thus monk Photii took upon his shoulders the, particularly difficult in our time, Bishop’s cross, becoming the head of the Bulgarian Old Calendar Orthodox Church. Only nine days after the consecration of Bishop Photii his beloved spiritual father Archimandrite Seraphim reposed in the Lord. The first service which the Bishop served in his motherland was the funeral service of his spiritual father. Thus the first step in his cross-bearing was related to the pain of separation. It was precisely thus that the living tradition of the Holy Orthodox faith has been transferred from father to son, from one generation to the next and from one century to the next through the whole course of the entire history of the Holy Orthodox Church. On the day of the burial of Archimandrite Seraphim, Bishop Photii pronounced the following significant words: “Our dear Abba offered his own health and himself as a living sacrifice on the altar of love to God and neighbour. By his loving nature and patience he constantly followed the example set by the leader of the shepherds, Christ: ”He who comes to Me I shall not chase away’ (John 6:37)”. These words can also refer to the service of Bishop Photii over the last ten years. We have witnessed the patience and the spiritual faithfulness to the bequest of the Holy Fathers and Saint Seraphim [of Sofia] which Bishop Photii received through the spiritual children of the Saint, Archimandrite Seraphim and the reposed Abbess Seraphima (+2004), with whom our Bishop and shepherd has served. The period 1993 – 2004 was a period of intense spiritual harvest for His Eminence. Unfortunately daily chores and ordeals distracted him from his service with a pen but his deep spiritual word continued to pour out from the church pulpit with an increasing depth and power. A number of significant events of our time and history, both civil and church ones, are reflected in it and find a spiritual response in this alive and vigorous word. In 1995 the Heavenly Queen herself blessed the works and deeds of the Bulgarian Old Calendar Orthodox Church through the visit of Her Blissful Miraculous Iverska Icon and her humble guardian, subsequently martyred, brother Josef Muños. In 1999 His Eminence performed the liturgical glorification of the Holy Martyr from the Rhodopa mountain region Bishop Bessarion of Smolyan and three years later, the glorification of Saint Seraphim the Wonderworker of Sofia, the heavenly helper and protector of our church community. i The Bishop’s consecration was performed by Bishops of the Holy Synod of Resistance (The Greek True Orthodox Church) whose apostolic succession derives from the Russian Orthodox Church Outside of Russia. A Bishop from the Romanian Old Calendar Orthodox Church, which since 1992 is in full canonical communion with the Russian Church Outside of Russia, also took part in the tonsure of Bishop Photii.